my Climbing partner Chris and I had been to Yosemite the first time this year. After some freeclimbs, we were really hot to get on our first aid wall. 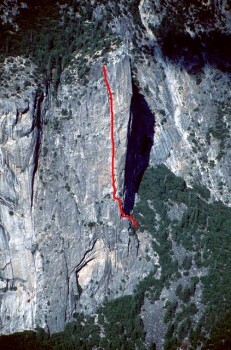 It was, as probably most peoples first bigwall in Yosemite, the "South Face" on Washington Column. I have to appologize, the narration is in German, but I think you can follow the story and enjoy the music and pictures without understanding the narration. Discussion, questions, comments, helpful hints are welcome. Concerning the climb and also what I could do better in the next video. I want to thank all the people that helped us while we were in Yosemity, all the people that allowed me to film them and put the material on youtube and everybody who made the trip special for us. Thanks for posting your TR. You guys looked pretty dialed in for your first wall! > You guys looked pretty dialed in for your first wall! Well, before coming to the valley we read all the How to stuff from Chris MacNamara, then we perfected the system for our needs in the gym. After coming to Yosemite, we trained all the things we could not practice in the gym. For excemple we did some baseclimbs to get a feel for aiding with "real" gear and we climbed the first 3 pitches of "Zodiac" under real conditions. Okay not water, no beer in the haulbag, but instead we put stones inside. 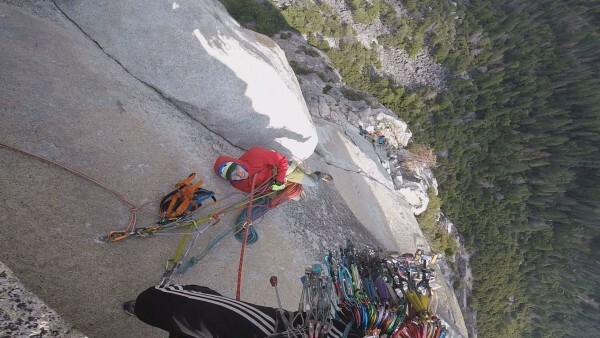 I greatly enjoyed the video trip report, because it brought back to me the "feel" of aid climbing in general and the route in particular. I want to encourage your future efforts! I will happily read a written TR any day. Video TR I just click on by and don't watch. hey there say, juergen_l ... wow, thank you so very much!